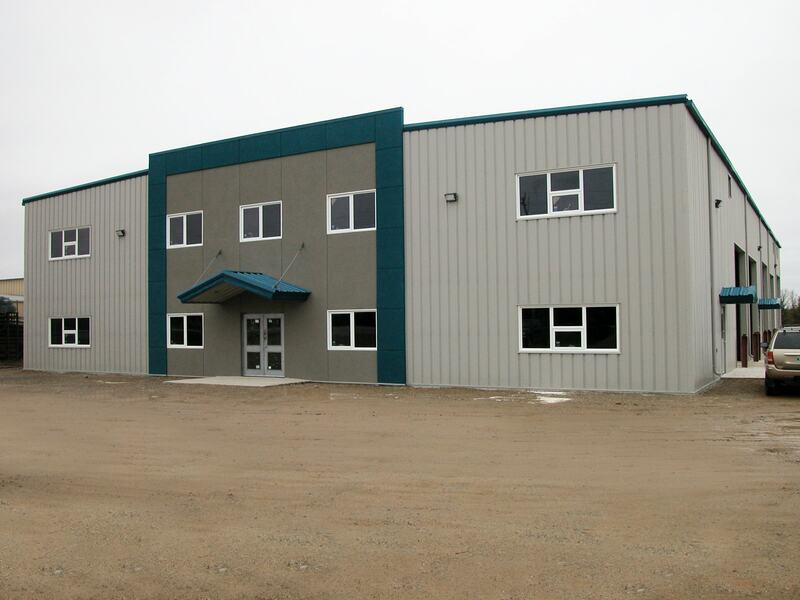 This steel fabricator and welding shop needed a spacious warehouse and office area to serve its area residents. A focal point on this simple metal building was created by applying grey acrylic stucco with reveals which in turn was surrounded by a deep turquoise acrylic stucco outline. The deep turquoise roof peaks supported over the exterior walk-doors, bring attention to the building’s entrances. More space was created for storage by adding a mezzanine floor, also located at the front of the building.